I was having some lackluster experience with a property management company and was fortunate enough to enlist Alvin's services to manage my property. It has been a very positive experience. Alvin is always very prompt in returning any questions or concerns that I may have and always keeps me abreast of any situations that have arisen. I would highly recommend him as a property manager and realtor. Alvin made my first home buying experience so much fun. He was honest with me and gave me his opinion. He knew a lot about the houses we looked at and pointed out things I didn't even think of. Alvin is a stand up guy and glad we got to work with someone who made this time in our lives fun. Will DEFINITELY recommend him to anyone looking to buy a home. Alvin makes it personal and shows great interest for all parties involved. Responds to all phone calls and willing to answer all questions in a professional manor. Alvin, was an excellent real estate agent, & being a very busy business man he still manage to assist my needs and answer my every question. Along with being an excellent agent he also carries the trait of being an excellent person. It was more of like working along side a friend. I'm very grateful to have him as my agent and will use him next time! Alvin Cain has everything you're looking for in a realtor. He's very knowledgable when it comes to any questions you might have. He will work with you for however long it takes to find you're perfect home. Never once does he try to do things his way. It's all about pleasing his clients. I could call him any time of the day or night to ask questions or get advice and he would talk to me like we have been friends for years. Alvin is the real deal. I would recommend him to anyone! One of the best agents we have worked with! Alvin is an asset to his clients! We would recommend him to anyone! Please feel confident he will be at your side and helping you during the entire process. 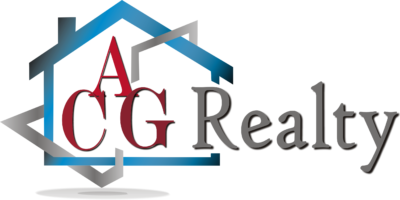 Alvin Cain is one of the more informed realtors I have worked with and was always responsive to any requests or questions I had. He has a great knowledge base for homes in the area. Absolutely thorough and tireless professionals. Thank you for making buying experience enjoyable. I've been overwhelmed by the tireless efforts of Mr. Alvin Cain and his group has presented to successfully delivering on selling my home. I am deeply satisfied and is currently continuing working them on purchasing a home within a week. Thanks so much Alvin for your personal and professional care in meeting my needs of selling and buying a home. Hope to extend our business relationship further during the search of a property for my business adventure. Thanks so much for being available outside of a 9-5 work day because most of my opportunities have not come within those means. Again, thanks and awesome working with you and your group!!!!! My wife and I were very pleased with the attention that Alvin gave us when we decided to sell our home. We were impressed by the time he took to explain all the steps involved in selling. The best part is the aggressiveness he had to sell our house in about a month!. Thanks Alvin, we appreciate everything you did for us with our new home, and our lovely housewarming gift. We look forward to seeing you at our unofficial housewarming party once we get fully moved in. Alvin is reliable and very knowledgeable about real estate! He went out of his way to accommodate us with our busy schedules. Alvin and I looked at a great deal of homes, and he never seemed to get frustrated with me. He made the experience super easy, and he made it so much fun that I tell all my friends about him. In fact, my mother-in-law moved to Louisiana and bought a new home from Alvin also. She too enjoyed Alvin and his easy going demeanor. Alvin and I have stayed in touch after the experience, and I consider him to be not only our realtor of choice but a friend.